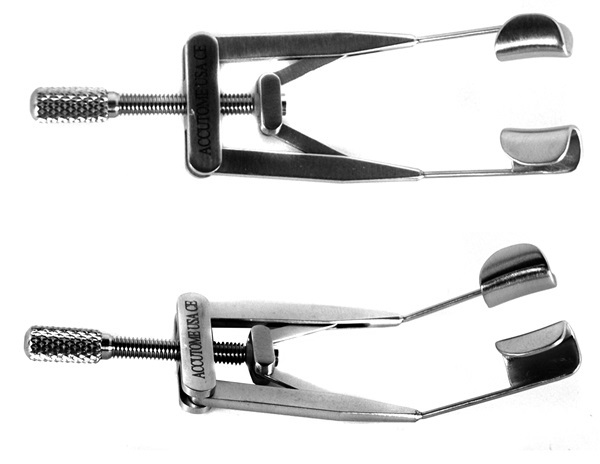 Adult and pediatric size Lieberman adjustable speculums available in various blade sizes. The options of titanium or stainless steel with temporal, nasal, and reversible approaches are available. Lid tension is adjustable with thumb-screw control. Pediatric size, 10mm round solid blades, temporal approach. Overall length: 73mm. Adjult size, 14mm round solid blades, reversible approach. Overall length: 90mm. 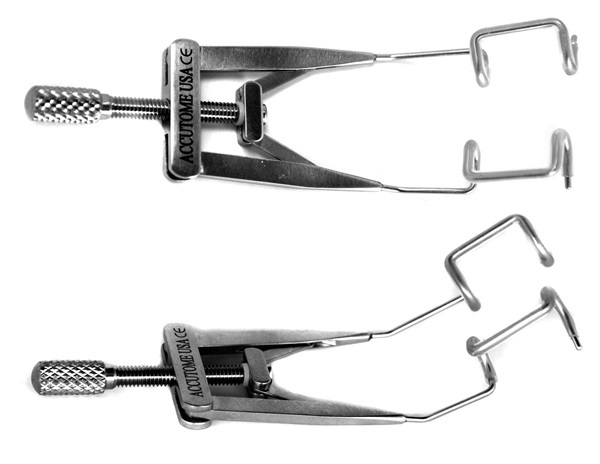 Adult size, 14mm square open K-wire blades, nasal approach. Overall length: 83mm. 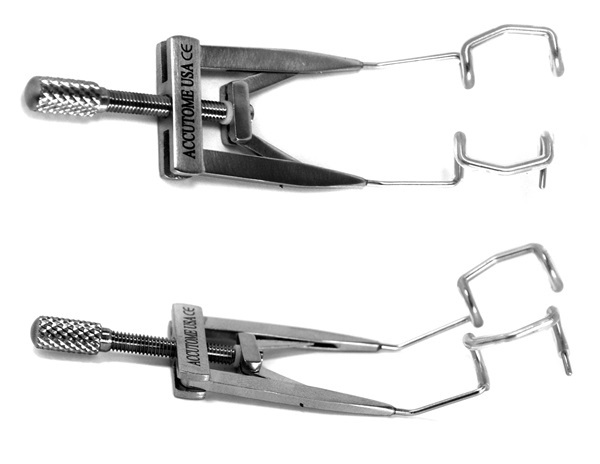 Adult size, 14mm open V-wire blades with no flare, nasal approach. Overall length: 83mm. Adult size, 15mm open K-wire blades, temporal approach. Overall length: 90mm. Adult size, titanium, 15mm open K-wire blades, temporal approach. Overall length: 90mm. Adult size, 15mm open V-wire blades, temporal approach. Overall length: 90mm. Adult size, titanium, 15mm V-wire blades, temporal approach. Overall length: 90mm. 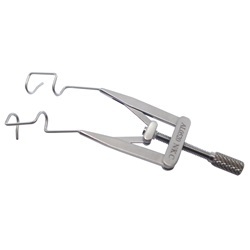 Designed for use during femtosecond cataract surgery. Adult size, 15mm open K-wire blades, temporal approach. Blades are covered in silicone tubing for patient comfort as well as for pushing back the conjunctiva. Overall length: 85mm. Designed for use during femtosecond cataract surgery. Adult size, 15mm open V-wire blades, temporal approach. Blades are covered in silicone tubing for patient comfort as well as for pushing back the conjunctiva. Overall length: 85mm. Adult size, 15mm round solid, thin blades, temporal approach. Overall length: 76mm.